Drake has been dividing opinion since his mixtape So Far Gone took the hip hop world by storm in 2009. Some see him as a multi-talented messianic figure at the forefront of popular rap, while others regard him as a pretty boy making R&B that can barely be classed as hip hop. Whatever your opinion on the Canadian entertainer, this album is unlikely to change your mind either way. Album opener 'Over My Dead Body' takes over from where Thank Me Later left off, with mellow piano keys providing the backdrop for Drake to wax lyrical about his accomplishments while Chantal Kreviazuk provides a soulful hook. This sets the tone for the chilled out mood that pervades the album, up tempo tracks proving to be thin on the ground. 'Shot For Me' allows the rapper to test the limits of his actual singing voice, rather than the irritating half singing half rapping that contributed to the lukewarm reception for his last album. The trend is followed through into 'Doing It Wrong' with great success, a welcome, more emotional side to the rapper shining through. 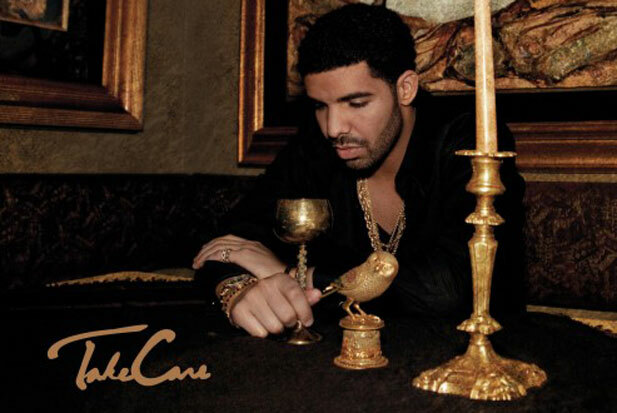 There is a tendency in Drake's music towards moody bitterness, and this runs through both of the songs as he arrogantly dismisses the women of his past. Other examples include 'Look What You've Done' and 'Marvin's Room', Drake using the downbeat tracks to uncomfortably bare his soul. There are, however, more upbeat tracks on the album. 'Make Me Proud' features assistance from rumoured wife Nicki Minaj, the chemistry between the two artists becomes undeniable over a pulsing beat. Lead single 'Headlines' is a catchy, boastful toast to everything the rapper has achieved in his short career. 'HYFR', with mentor Lil Wayne, is an opportunity for Drake to showcase an improved, speedier flow, suggesting the MC has used the time since Thank Me Later wisely. Another highlight is the sensual 'Practice', Drake demonstrating why his female fan base is so widespread. Guests on the album are largely expected, with two notable exceptions. Canadian newcomer The Weeknd shines on 'Crew Love', eclipsing his fellow countryman on his own track. More importantly, Drake is finally awarded his dream collaboration with Andre 3000. The ATLien drops by for 'The Real Her', the song also featuring Lil Wayne. Unfortunately, the track fails to match the sum of its parts, the ponderous beat hard to distinguish from the instrumentals that have proceeded it. As always, 3000 drops witty, playful rhymes, but the project does not stand up to repeat listening. Drake is unlikely to win any new fans with Take Care, his sophomore album following the pattern established by Thank Me Later. There is, however, evidence of artistic progression, making the album a definite improvement on his disappointing debut. Supporters of Drake will be delighted with this new collection, whereas his detractors will find plenty to support their opinions.